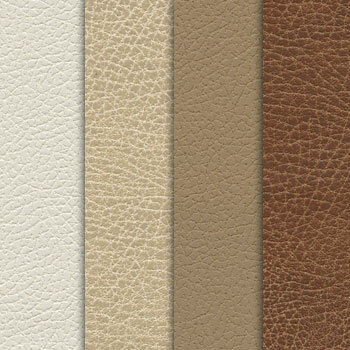 The Ultraleather outdoor collection is available on our cushion and padded sling seating options. For the padded leather seating option, we recommend selecting a coordinating solid sling welt and back for a seamless look (i.e. Polar leather and Glacier welt and back). The Ultraleather line is also available for new orders, replacement padded slings and cushions through your local Homecrest dealer. Check out the wide variety of colors and textures available through this expanded program, you have even more fabric options to choose from to create the look that suits you. Click here to find a dealer near you to inquire on how to order.